Ever wonder what your pet does all day while you’re at work? Does your dog make a beeline for the forbidden couch? Is your cat licking your toothbrush that’s propped in the glass by the sink? Or do they stare out the window all day, patiently waiting for you to pull into the driveway? Inquiring owners want to know. And now you can — thanks to a multitude of high-tech pet cameras recently released to the market. Nanny cams and pets: Is it ethical to check in? You can probably rationalize spying on your nanny — especially if you suspect she or he is Facetiming friends when they should be supervising your little ones. And remote monitoring of your home has become commonplace with the advent of digital door monitors. But peeping on your beloved dog or cat? Are pets entitled to a little privacy? Are you just being nosy about your snouts’ day-to-day lives? As it turns out, there are some perfectly logical reasons why you might want to look in on your pet. If your pet is recovering from surgery, for example, you may want to keep an eye on your pup to make sure he or she isn’t licking the incision. (With some pet cams, you can even tell your pet “leave it” from your office miles away.) Or if your pet has a medical condition such as epilepsy, you can monitor for seizures. Some pet cams come with a bark alert, so you’ll be notified on your cell phone with each yap or woof. That way, you can know if someone’s at your door while you’re away. Or if your pup really is as vocal during the day as your neighbor claims. Does your cat prowl around the house in the wee hours of the night? Some pet cams have night vision and recording capabilities so you can keep tabs on your tabby, even when you’re asleep. Do you have a pet with separation anxiety or thunderstorm phobia? Pet cams may enable you to calm them down with your voice, or even spray some pheromones to help soothe their anxiety. In either case, you should consult your veterinarian about additional steps you can take to help them feel better. All pets could use a little exercise during the day. Why not challenge yours to a laser dot chase game? With some pet cams, all you have to do is swipe your finger across your smartphone screen. Does your pet display an odd behavior, like compulsively licking the walls of your house, but then act completely normal when you take him or her to the veterinarian? 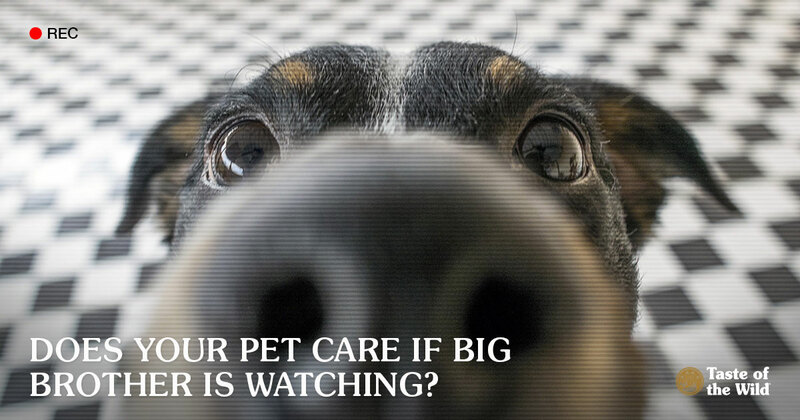 With the right pet cam, you can catch the behavior on video and play it back for your veterinarian. Not sure what your pet is chewing on? Zoom in for a closer look. You check in with your family throughout your work day, and that should include your pet, right? Many video cams offer person-to-pet video and two-way audio capabilities. You can even put them through their training paces from the job and reward them with a treat. If you’re still worried about invading your pet’s privacy, one pet cam offers an option that lets your pet call the shots. When you’re available, a light goes on to notify your pet. Your pet, in turn, can push a button to initiate a call. The trouble is, will you, like Pavlov’s dog, spend your day staring at the phone, waiting for a signal from your pooch?